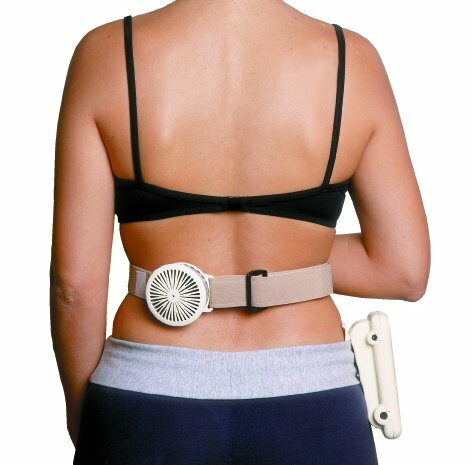 ELFcare is the first and only product to provide Electrotherapy programs while simultaneously delivering heat or cold therapy. The same treatments patients receive in therapy to treat pain, break muscle spasm or provide muscle re-education are available now at your home or workplace. Chronic pain sufferers can find relief with ELFcare’s 30 minute treatments. 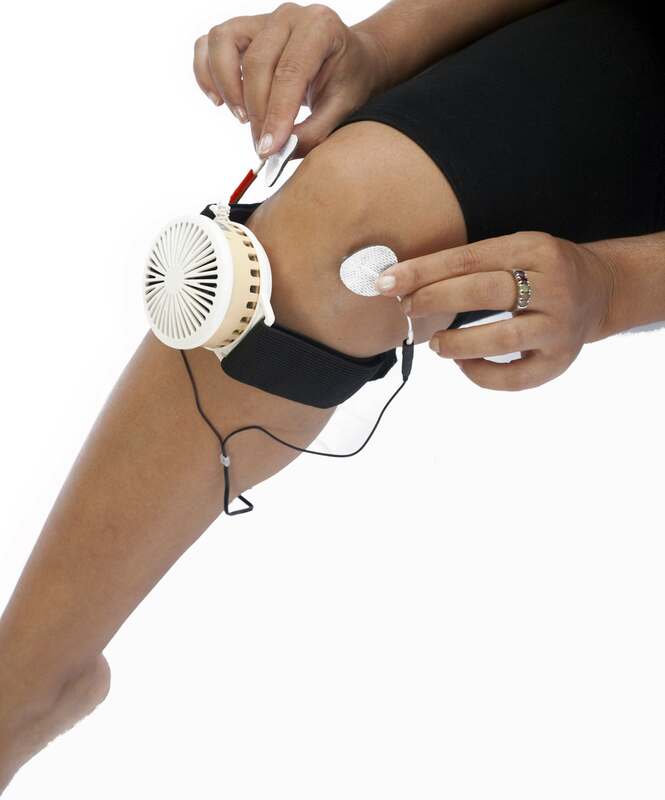 Reduces Pain, Accelerates Recovery The ELFcare System provides a non-invasive, drug-free solution for controlling pain. As a clinically proven option, electrotherapy and thermotherapy may be prescribed along with, or instead of, other treatments to help control your pain. The ELFcare electrode allows the synergistic effect of combining calibrated hot/cold therapy and electrical therapy in one electrode. This solid-state electrode is controlled by a portable device allowing the treatment to be independently conducted by the patient in his own home while remaining under medical supervision. The device has a 4-head electrode for localized electrotherapy and can also used with additional standard electrodes in parallel to it. Electrical and temperature calibrated modalities are applied in pre-programmed sequences for specific medical conditions according to medically approved protocols. …with difference temperature profiles and electrical wave forms. The ELFcare unit may be powered from its built-in battery or from the external Power Supply (included). This is a short note to thank you again for your delivery and explanation of the ELFcare unit to my husband 2 months ago. Since then he has used it daily, sometimes several times daily, when his shoulder and arm pain is at its worst. Being a quadriplegic from a landmine in Vietnam, he has put his arms and shoulders to much use over the last 45 years to remain as active and healthy as possible. The pain was severely restricting his mobility. Prescribed anti-inflammatories present their own problems with side effects for him. I applaud our Doctor and Therapist for offering this to us. The Elfcare greatly diminishes the pain, decreasing the need for medication except at the most severe pain. It allows a comfortable night’s sleep, instead of waking with pain. This has been a huge help and a big relief for him. Any form of pain relief with as little medication as possible is great in our book! !